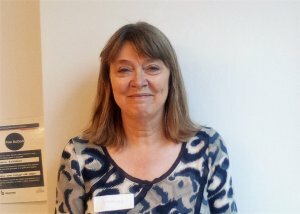 Sarah said that her whole life has changed as a result of volunteering at Baildon Library. 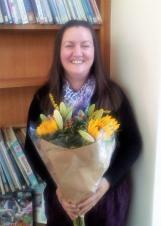 She decided to change career and volunteered with Baildon Library to gain work experience. She's now working for Leeds Libraries in a job which she loves. She used specific examples from her volunteering experience at Baildon Library in interview and on her application. It has made her very happy and she feels really grateful, in particular to all the staff who supported her to gain those skills. She said "I've enjoyed developing my people/customer service skills, joining in with new things like the Teddy Bears Picnic (as my background is with teenagers I've enjoyed the chance to learn new skills by working with new groups and pushing myself outside of my comfort zone). It's been a great way to meet new people and be part of a team, particularly as my job is such an independent one. There haven't been any negatives, all the staff are very supportive and I've learnt a lot from them." 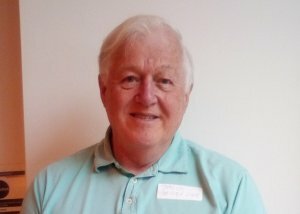 David has volunteered with the library since the service began in June 2017. He said "I have seen from my spell as a volunteer how much the library is valued by its patrons and how grateful they seem for its continued opening. I have volunteered for quite a few projects in the past: minibus driving for social services, charity shop sales, theatre work, etc. but I have never enjoyed the satisfaction from them as much as I have done from working with you and your team. My pleasure in meeting the public and helping them to enjoy their reading is backed by the feeling that my efforts are valued and appreciated. Thank you for giving me the opportunity to help others." The magic sound of the date stamp can't be beaten! Sharon has given over 100 hours to the hybrid library since it began in June 2017. She commented "I've thoroughly enjoyed my time at the library so far. I've always loved books and libraries and have enjoyed learning new tasks as it's different to my normal work. The magic sound of the date stamp can't be beaten and it's lovely to see young children who obviously like it too! A bit of low tech timeless fun in this very technological age! It's been great to chat to people visiting the library and helping them find what they need. It's also been good to be part of hopefully preserving and growing an important local service." HTML5 validated. WCAG compliant. Page generated in 0.0856 seconds.